Scottish distillery Edrington unveiled a brand new package and name for its most recognized single malt The Macallan, its Korean branch said Thursday. According to the company, it applied special technologies to its bottle design that prevents refilling and imitation. This can alleviate customers’ anxiety which regard to water bewitched liquor, it said. By collecting consumer opinions from around the world, the company decided to break away from its traditional, signature bottle design. Instead, it decided to change its packaging to portray the bold and sophisticated image of Macallan, the company said. 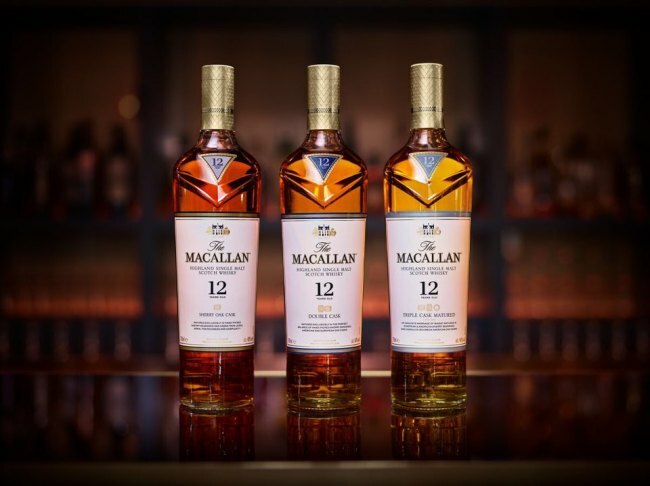 The Macallan Fine Oak will be reborn as The Macallan Triple Cask Matured, the company said, offering the same extraordinarily smooth, delicate yet complex single malt, with notes of citrus, vanilla and coconut. “With product renewal and Fine Oak lineup reorganization, more consumers can now enjoy and easily understand the high quality Macallan around the world,” said an official from Edrington Korea.